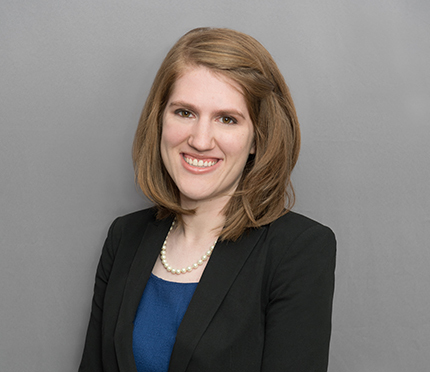 Associate Isia Jasiewicz led a pro bono appeal in which the client was charged in a single indictment with eighty-six offenses arising from four separate armed robberies. The client’s trial counsel moved to sever for four separate trials. The trial court denied the motion, and trial proceeded on all counts before a single jury. Throughout the trial, the State invited the jury to improperly cumulate the evidence against the client by continually reminding them that the case involved “not one, not two, not three, but four” incidents. The jury returned guilty verdicts on charges arising from all four robberies, and the client was sentenced to sixty-eight years in prison. Isia argued on appeal that the trial court improperly denied the motion to sever because it had not made the requisite finding that evidence of the four robberies would be mutually admissible in separate trials. The Maryland Court of Special Appeals agreed that the trial court had skipped this vital step in the analysis, prejudicing the client as a result. It reversed client’s convictions and remanded for further proceedings consistent with its opinion.